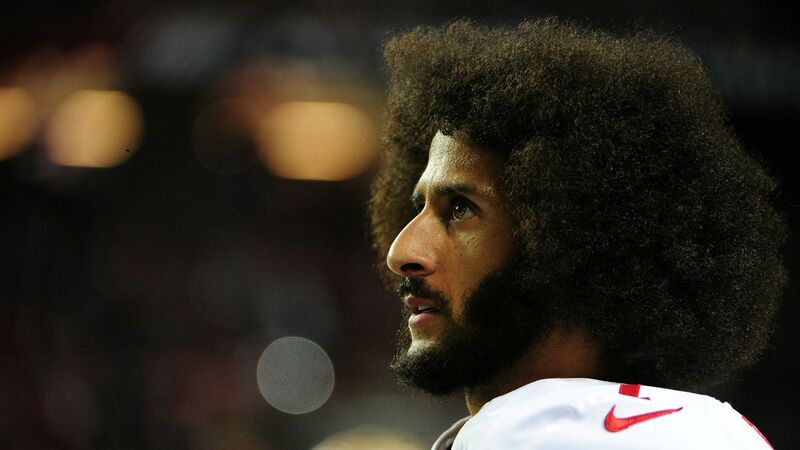 Colin Kaepernick's lawyers are expected to seek federal subpoenas of President Trump and Vice President Pence in Kaepernick's collusion case against the NFL in an attempt to gain more information about the administration's contact with league owners over the league's national anthem protests, reports Yahoo Sports. The big picture: Recordings released earlier this year revealed NFL team owners are terrified of Trump speaking out against the league because of player protests during the national anthem. That forced a rule change from the league, requiring players on the field during the anthem to stand, propelling the issue back into the zeitgeist and culminating with Trump's decision to disinvite the Super Bowl champion Philadelphia Eagles from the White House earlier this week. The problem: Getting testimony from Trump won't be easy for Kaepernick and his lawyers. Thanks to collective bargaining laws, Kaepernick's request for a subpoena outside of the scope of his contract with the NFL must also be allowed by an arbitrator in the case. Even if Kaepernick were allowed to subpoena Trump, there's an open question if it would even matter. Using his presidential powers, Trump could potentially simply ignore the subpoena — and any attempt to enforce it would require more legal action from Kaepernick. The bottom line: If Trump's personal lawyer Rudy Giuliani doesn't think Trump can be subpoenaed in Special Counsel Robert Mueller's Russia probe, the same goes for any subpoena from Kaepernick.